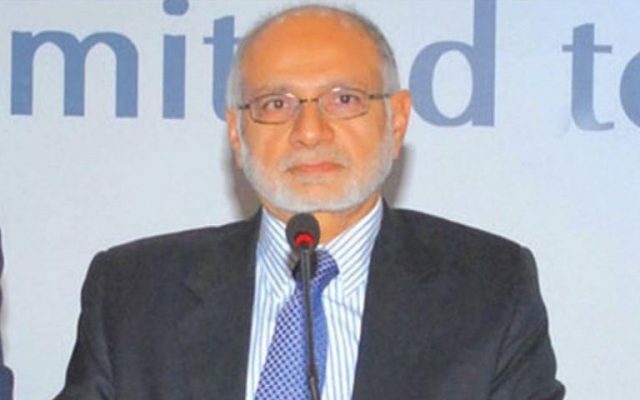 Summit Bank Vice-Chairperson Hussain Lawai has denied that he has been accused of money laundering. Lawai was arrested on July 6 by the FIA for his involvement in a money laundering scandal that involved 29 fake accounts made on seven people’s names. He recorded his statement on Wednesday at the FIA’s State Bank Circle where he also said that he has not been accused of money laundering. The Pakistan Stock Exchange chairperson said that he has been accused of making fake accounts, something he also denies. When asked about his friendship with PPP Co-Chairperson Asif Ali Zardari, he said he was friends with him. Lawai was believed to be a close aide of the former president. Zardari and his sister Faryal Talpur were barred from travelling abroad on July 9 due to their involvement in the case. It is believed that around Rs34 billion has been funneled through these fake accounts at Summit Bank, UBL and Sindh Bank. The Supreme Court has also taken notice of the case.